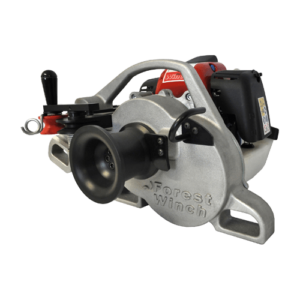 Treadlight Forestry is a specialist dealer of portable capstan winches. We came across capstan winches a few years ago and immediately realised their potential in low impact forestry. 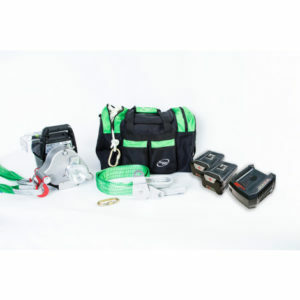 These winches are brilliant as they can be carried on to site and setup where it is simply impossible to get a larger machine. 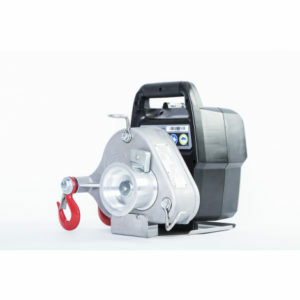 Portable capstan winches have a small petrol engine, either 2 or 4 stroke, which provides force to a rotating capstan drum. There is now also a battery electric winch. A rope is connected to the target object and then wrapped around the capstan drum. As the rope is pulled friction transfers the power from the capstan drum to the rope.